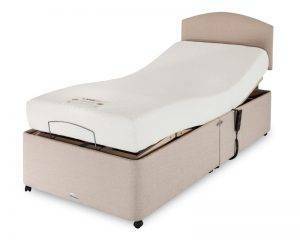 Whether you’re sleeping or just relaxing, an adjustable bed from Coytes will help support your body in any sleeping position. We have beds with various adjustable settings, helping you get a great night’s sleep. 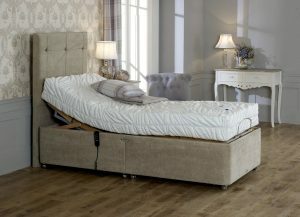 The Freestyle Adjustable motorised sleep system combines convenient back-lift with a range of support options; simply select the mattress that provides the level of support and firmness that’s best for you and combine it with our smooth, quiet leg and back-lift mechanism for the ultimate in comfort and convenience. Part of the latest Healthbeds Active Life technology, with medical grade Reflex foam with super breathable Revo comfort.